Counseling psychology emerged as an applied specialty within the American Psychological Association (APA) in the 1940s. It has been recognized as a specialty by the APA since 1946, and this recognition was reaffirmed in 1998 when the APA initiated a new period of application for specialty recognition. Landmarks in the history of counseling psychology include the establishment of the discipline in relation to the overall profession of psychology, the creation of key professional journals, and important conferences held across the years. Two organizations are considered key in the formation and development of counseling psychology: the Society of Counseling Psychology (SCP) of the APA and the Council of Counseling Psychology Training Programs (CCPTP), the organization for directors of training programs in counseling psychology. Prior to 2004, SCP was typically referred to as “Division 17,” so reviewers of original historical material should note this reference. In the present entry, the terms SCP and Division 17 will be used as seems historically appropriate. John Whiteley, a noted historian of counseling psychology, identifies the most distant seeds of counseling psychology in the vocational guidance, mental hygiene, and psychometrics/individual differences movements along with the emergence of nonmedical and nonpsychoanalytic forms of counseling interventions such as Carl Rogers’s person-centered therapy. Later, the growth of counseling psychology was spurred by the demand for psychological services created by the veterans returning from World War II. Negotiations among representatives from the APA’s divisions 12 (Clinical Psychology) and 17 (then called Counseling and Guidance) and what was then the Veterans Administration’s Central Office Staff in Clinical Psychology resulted in the creation of a new position for psychologists in the VA system, “Counseling Psychologist (Vocational)” in 1952 to aid veterans in their readjustment to civilian life. Because helping veterans gain employment and education opportunities required different knowledge and skills than addressing psychopathology and neurological injuries, this new position helped counseling psychology to differentiate from psychiatry and clinical psychology and resulted in the growth of the vocational guidance movement. In 1946, APA recognized Division 17, Counseling and Guidance. Counseling psychology topics began to be regularly reviewed in the Annual Review of Psychology under this title. The Annual Review of Psychology helped to further legitimize the specialty by creating a place for routine evaluation of the literature. In the 1950s, the explosion of enrollment in higher education and the needs of the returning World War II veterans spurred significant research in the areas of career development and counseling orientations. Theories of human development and behavior grew out of these economic and social forces during this time period, and client-centered, directive, learning, psychodynamic, humanistic, and existential theories further developed. Counseling psychologists held the first major conference on counseling psychology, the Northwestern conference, in 1951. T. C. Gilbert Wrenn, the president of Division 17 at the time of the conference, addressed the circumstances that he considered critical leading up to the conference, focusing mainly on the content of training for doctoral-level counseling psychologists, including practicum training. The Northwestern conference resulted in the first set of standards for doctoral training in counseling psychology and the formation of the Division 17 Committee on Definition. In 1956, the committee’s report, Counseling Psychology as a Specialty, was an attempt to create a more inclusive statement defining counseling psychology. Donald Super, the next president of Division 17 after Wrenn, expanded on the statements made at the Northwestern conference. He helped to clarify the functions of the division by assigning the Committee on Definition the task of developing a formal statement regarding the boundaries and focus of the specialty and discussing the need to differentiate between counseling and clinical psychology. In 1952 the official name of Division 17 was changed to Counseling Psychology, and the American Board of Examiners in Professional Psychology announced that its diplomas would include the term Counseling Psychology rather than Counseling and Guidance. The appearance of the Journal of Counseling Psychology in 1954 and the continued reviews in Annual Review of Psychology helped further establish the professional identity of counseling psychology. Following this period of scientific and theoretical developments, disagreement emerged within the specialty regarding the role and definition of counseling psychology. Milton E. Hahn’s Division 17 presidential address in 1954 highlighted the differing conceptions of the developing profession by attempting to differentiate clinical psychology from counseling psychology. He argued that although training in clinical and counseling doctoral programs were similar, there was evidence that students were not being trained to assume the same professional roles and functions. Emphasizing counseling psychology’s concerns with less severely disturbed individuals (and pointing out that they worked with clients, not patients), Hahn saw counseling psychologists as more interested in research and administration than were clinical psychologists. Clinical psychologists were likely to work in medically related modes and settings and were more oriented toward personality reorganization. Counseling psychologists were trained to help clients to change attitudes and value systems and to address vocational concerns. In Hahn’s view, they were taught to stress psychological strengths and health rather than psychopathology, diagnosis, and remedial psychotherapies. The crisis of identity, however, did not resolve, and in 1959, the APA Education and Training Board commissioned four appraisals regarding the status of counseling psychology. The reports were so divergent that one of the four was suppressed and the other three remained unpublished for 20 years. The most negative of these reports argued that counseling psychology was on the decline and that its scientific basis was inadequate. Leaders of the specialty responded quickly, and Leona Tyler, David Tiedeman, and C. Gilbert Wrenn formulated a response refuting the gloom and doom orientation of the original reports. Their statement documented the historical grounding of the specialty (e.g., official statements on definition and on education and training), studies of the roles and functions of counseling psychologists, and social demands for counseling psychologists. It was approved by the 1960-1961 and 1961-1962 Executive Committees of the Division of Counseling Psychology. One of the most important events in the history of counseling psychology was the Greyston conference in 1964. Before the conference, counseling psychology was at a crossroads regarding identity issues and the future direction of the specialty. The purpose of the Greyston conference was to examine the professional preparation and work of counseling psychologists and to develop specific recommendations in these areas. Six formal papers provided a starting point for the conference, documenting the history of the specialty and discussing identity issues. A formal conference report was issued that presented a comprehensive picture of the profession through a review of the positions counseling psychologists held, a review of the settings in which they worked, and a summary of the important statements and official documents of Division 17. Previously, statements on the definition of the specialty of counseling psychology had been circulated mostly within the membership of Division 17. The first comprehensive, widely circulated statement regarding the definition of the specialty was published by the Teacher’s College Press and copyrighted by the APA in 1968. The definition began as a project of the Professional Affairs Committee of Division 17 and was officially sanctioned by the division’s Executive Committee. The definition stipulated that counseling psychologists perform administrative tasks, professional practice, and research. Three different roles were described for counseling psychologists: remedial or rehabilitative, preventive, and educative and developmental. The definition also included information about counseling psychologists’ jobs and work settings. The Counseling Psychologist was founded in 1969. Proposed by founding editor John M. Whiteley, The Counseling Psychologist is the official publication of the SCP. Issues are organized around specific topics and contain a major contribution accompanied by invited critical analyses from prominent scholars or practitioners. The authors of the major contribution are then invited to respond to the analyses. The issues of The Counseling Psychologist are based on substantive research; they have focused on human development, counseling theory, counseling methods, and professional issues. Early major contribution topics were vocational development theory, client-centered therapy, student unrest, and behavior counseling. Recent issues of The Counseling Psychologist include major contributions titled Social Justice and Multicultural Competence in Counseling Psychology, A Work-Oriented Midcareer Development Model, Evidence-Based Scientist-Practitioner Training, and the Internationalization of Counseling Psychology. Historically, The Counseling Psychologist has functioned as a repository for historical material and debates about professional identity; more recently, it also publishes the minutes of the SCP Executive Board meetings and the yearly presidential address. Changes in social attitudes born in the 1960s and early 1970s affected counseling psychology in a variety of ways. These new social attitudes had sprung from a number of sources: (1) the Vietnam War, (2) emerging conceptions of self and the actualization thereof prevalent in the 1970s, and (3) challenges of traditional attitudes and authority and the disruption of the Watergate era. Significant changes in society brought concern for equality and calls for equal rights for racial and ethnic minorities, women, and the physically challenged. Counseling psychologists responded by emphasizing psychoeducation and prevention as the 1960s trend for the search of the ideal self and personal fulfillment prevailed. The roots of counseling psychology’s expertise in issues of cultural and individual diversity strengthened during this time. Cultural themes promoting personal fulfillment and the exploration of personal relationships also created an increased demand for services that counseling psychologists provided. Consequently, counseling psychologists were found engaged with diverse clients in a wide variety of employment settings. Behavior therapy and existential approaches to counseling were two of the major theoretical issues being debated during this period, and there was continued elaboration of research on theories of career, occupational, vocational, and personality development as well as psychotherapy and counseling. The late 1970s and early 1980s were characterized by further examinations of the professional identity of the specialty. Whiteley identified four initiatives of organized counseling psychology in this time period. The first initiative was set in motion by Bruce Fretz, who organized views of professional identity from (1) individuals who primarily identified as counseling psychologists, (2) professionals who worked closely with counseling psychologists, and (3) two previous presidents of SCP. In 1977, these views were published in The Counseling Psychologist. The second initiative was led by Whiteley to project what adaptations would be needed in order for counseling psychology to have an important role into the 21st century, resulting in a book by Whiteley and Fretz and an issue of The Counseling Psychologist on the future of counseling psychology. The third project, organized by the APA, was to further define the specialties within psychology by issuing statements on the significant characteristics, certification, and licensing of counseling psychologists. The fourth initiative was the Next Decade Project of Division 17, initiated by the Division 17 Executive Board and led by Norman Kagan. Similar to the second initiative, the Next Decade Project defined challenges and the needed direction for professional practice, education and training, definitional concerns, and scientific affairs. The project was intended to strengthen the future of the profession through providing (1) a long-range guide for the division’s major standing committees, (2) statements regarding licensing, and (3) documents to describe counseling psychology to future students and other professions and specialties within and outside of the profession of psychology. The findings of the Next Decade Project were published in The Counseling Psychologist in 1982. Reviews of counseling psychology research published in the Annual Review of Psychology between 1978 and 1984 were titled Career Development, Counseling Psychology, and Career Interventions. In 1983, the publication of the first handbooks, the Handbook on Counseling Psychology and the Handbook of Vocational Psychology, further underscored the solidifying professional identity of counseling psychology. 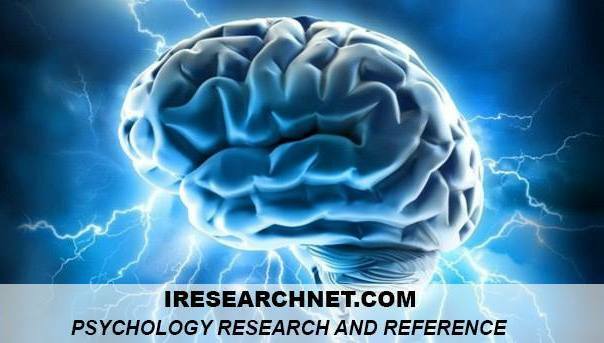 Studies of psychometrics, college student development, career and vocational psychology, and counseling process and interventions continued to enhance the profession through the theoretical and research literature. Between 1977 and 1983, 5 new volumes of The Counseling Psychologist and the first 10 books in the Book Series in Counseling Psychology focused on theoretical approaches to counseling, counseling supervision, and professional roles and settings. Two issues of The Counseling Psychologist separately addressed counseling men and women, a harbinger of the diversity movement to come. In the late 1980s and 1990s, issues of cultural and individual diversity, long integral to counseling psychology, rose in prominence more broadly in the profession of psychology and in society at large. The origins of the specialty in career and vocational psychology prompted counseling psychologists to attend closely to individual differences, and the orientation toward strengths further supported this focus. Over the years since the emergence of the specialty, counseling psychologists have produced significant scholarship on diversity issues and have been leaders in this area within organized psychology. In 1970 the APA directed attention to the issues faced by women when it created the Task Force on the Status of Women. This task force was charged with the objective of creating recommendations about the treatment of women in the profession of psychology and included a significant number of counseling psychologists. Division 35: The Psychology of Women was recognized by APA a short time later, in 1973, with many counseling psychologists as members then and now. In the 1980s, issues based on race and ethnicity along with gender and sexual orientation became a focus for Division 17. To address these issues Division 17 focused on three main initiatives. These initiatives addressed increasing diversity (1) in the governing body of Division 17, (2) among the students in counseling psychology programs, and (3) in the theoretical and methodological structures of counseling psychology. In 2002 the APA Council of Representatives adopted a set of guidelines about how psychologists should approach multicultural education, training, research, practice, and organization. Crafted as a joint effort between Division 17 and Division 45 (the Society for the Psychological Study of Ethnic Minority Issues), these guidelines originated in a writing group chaired by counseling psychologists Nadya Fouad and Patricia Arredondo; the group also included Allen Ivey and Michael D’Andrea. The guidelines attempted to fulfill four primary goals: (1) to explain the necessity for cultural awareness within psychology as a profession, (2) to present research to support the recommendations, (3) to define directions for further education in cultural awareness, and (4) to introduce perspectives that would broaden the focus of the profession of psychology. Other guidelines for diverse groups have been promulgated across the years as well; these have dealt with gay, lesbian, and bisexual clients and with older adult clients. The Guidelines for Psychological Practice With Girls and Women have recently been adopted. Counseling psychologists have been involved in all of these efforts. Organizationally, counseling psychology has attended to issues of diversity by establishing within the SCP an APA Council of Representatives seat to be filled by a minority individual. Sections and interest groups of the SCP have formed around racial and ethnic diversity; advancement for women; lesbian, gay, and bisexual awareness; older adults; and men and masculinity. As the 1980s moved into the 1990s, an increasing number of graduates from counseling psychology programs were moving into independent practice resulting in several new problems that the field of counseling psychology had to address. Prior to the 1970s, psychologists mainly were paid directly by the government or by the people that came to see them. However, the advent of mental health coverage within health insurance policies brought an increase in third-party payers in the 1980s and 1990s. The Section on Independent Practice was created in 1996 in an effort to address these issues within Division 17. In addition, counseling psychologists began to recognize a need for the specialty to have a voice when professional and legal issues related to practice were debated. With increasing monitoring of the healthcare profession in the 1990s and new laws and policies being drafted that would have an impact on how counseling psychologists functioned within the healthcare system, it was increasingly important for Division 17 to be involved. In 1995 the SCP created the position of federal advocacy coordinator with Sandy Shullman as the first person to hold the position. In the early 1990s, the leaders of Division 17 began to realize that the structure of the division was not sufficient to support the growing needs of counseling psychology. In 1992 a retreat was held by the Executive Board, led by Puncky Heppner and Jean Carter. The resulting plan was implemented over several years, ranging from 1993 through 1995. The plan proposed that the governing structure of Division 17 should resemble that of the APA. Interest in increasing participation in the division prompted the implementation of a new structure for groups of members that shared common interests. This new structure included sections—groups of 50 or more members with a common interest, and special interest groups for 10 to 49 members. Special task groups could be created by the president for the accomplishment of specific objectives. In addition to the standard positions of president, secretary, and treasurer, one of the changes to the structure of Division 17 was to add new vice president positions for four issues: diversity and public interest, education and training, professional practice, and scientific affairs. In 2002 Division 17 underwent another adaptation by formally changing the name of the division to the Society of Counseling Psychology. The intent of the name change was to perceptually define more organizational autonomy within the APA. In addition, the change would further differentiate the division from other divisions to students learning about the structure of the APA. Most recently, in 2006 a proposal was made to again change the SCP bylaws, creating another new position within the leadership: vice president of communication. This new vice president will manage the transfer of information within SCP membership, to APA and other professional organizations, and to the general public. The Council of Counseling Psychology Training Programs was formed in 1975 for two purposes. The first was to represent counseling psychologists wherever issues concerning education and training of counseling psychologists arose. The second purpose was to disseminate information relevant to education and training to those involved in it. Over the years, CCPTP has monitored accreditation issues; gathered information on counseling psychology programs, faculty, and students; and established model policy and curriculum. In 1998, a joint initiative of CCPTP and Division 17 resulted in the Model Training Program in counseling psychology. The Model Training Program identifies the philosophy endorsed by those who train counseling psychologists (e.g., scientist-practitioner model, orientation toward strengths vs. pathology) and identifies content areas integral to education and training in counseling psychology (e.g., supervision, career and vocational psychology, diversity) beyond the core content of professional psychology. Starting in the late 1970s, counseling psychologists began to focus on one of the unique processes of becoming a counseling psychologist: the supervisory relationship. Although psychologists had ruminated over the issue of the supervision relationship since the beginning of psychology training, only recently has research and theory in the area really begun to develop. In 1979 J. M. Littrell, N. Lee-Borden, and J. A. Lorenz proposed a model of the supervision relationship. Models developed by Carol Loganbill, Emily Hardy, and Ursula Delworth and then by Cal Stoltenberg and Delworth followed in 1982 and 1987, respectively. These contributions sparked interest in theory and research on supervision that continues in the 2000s. Supervision is also considered a key element in the education and training of counseling psychologists and is therefore an important element in the Model Training Program. One of the ongoing debates within Division 17 is the implementation of the scientist-practitioner model, specifically, how to balance attention to scholarship and practice with attention to theory, research, practice, and training. In the early years of Division 17, most of the governing body consisted of full-time academic psychologists. In the 1980s, and especially in the 1990s after the division’s reorganization, the presence of full-time practitioners of counseling psychology increased. In the early 1990s, a task force was assigned the objective of developing recommendations for integrating science and practice within counseling psychology. The task force was chaired by Puncky Heppner, and its recommendations were published in 1992. The recommendations emphasized integrating science and practice in doctoral training and enhancing training in research methods for counseling psychology students. Counseling psychologists continue to contribute significantly in understanding the integration of science and practice. Partially in response to clinical psychology’s efforts to compose a list of empirically supported treatments, counseling psychologists formulated a position on empirically supported treatments. The SCP Executive Board supported this position by forming a special task group to promote it in 2004. In 2005 a special task group was formed by APA to draft recommendations on the integration of science and practice; counseling psychology was represented by three members. Also in 2005, the APA adapted a new policy on evidence-based practice derived from the recommendations of the special task group. Counseling psychology continues to be a major force in professional psychology in the 2000s. Members of the specialty contribute to professional psychology and to the public through research, training, practice, and service. Although counseling psychologists are found in many settings and jobs, the specialty retains its emphasis on client strengths and resources in providing preventive, educative, and remedial interventions. Gelso, C., & Fretz, B. (2001). Counseling psychology (2nd ed.). Fort Worth, TX: Harcourt College. Heppner, P. P., Casas, J. M., Carter, J., & Stone, G. L. (2000). The maturation of counseling psychology: Multifaceted perspectives, 1978-1998. In S. D. Brown & R. W. Lent (Eds. ), The handbook of counseling psychology (3rd ed., pp. 3-19). New York: Wiley. Wampold, B. E., Lichtenberg, J. W., & Waehler, C. A. (2002). Principles of empirically supported intervention in counseling psychology. The Counseling Psychologist, 30, 197-217. Whiteley, J. M. (Ed.). (1984). Counseling psychology: A historical perspective. The Counseling Psychologist, 12(1). Whiteley, J. M. (1984). A historical perspective of the development of counseling psychology as a profession. In S. D. Brown & R. W. Lent (Eds. ), The handbook of counseling psychology (pp. 3-55). New York: Wiley.